There is an episode of Star Trek: The Next Generation, the science fiction series, in which the crew of Enterprise interacts with the crew of another ship, the Tamarians. While in most episodes various intelligent galactic people speak perfect English, that episode examines the concepts of language and communication. The two peoples find themselves unfamiliar with each other's languages; and their eagerness to bridge the gap becomes the focus of the episode. We learn that the Tamarian language is unintelligible to the Starfleet's universal translators because it is cryptically rooted in their local metaphor, laced with proper nouns, to the extent that its sentences do not have any meaning to the English speakers. Rai and Jiri at Lungha. And thus the English speaking spaceship's crew proceeds to find ways to gain insight into the Tamarian's language. Odysseus and Achaemenides at Polyphemus. Akroid and Murry in GhostBusters. I presume some, not all, ring a familiar tone to some, not all, of you. The key Tamarian metaphor, "Darmok and Jalad at Tanagra," in origin, refers to a situation in which heroes must learn to communicate with each other so that they may work to defeat a common foe or succeed in a common struggle. A metaphor is drawing attention to a mapping between two realms, inviting understanding in one with the help of the second; and perhaps conversely. There is a poetically satisfying element in the velocity and the style that invoking of a metaphor affords in communication, despite or because of its resident ambiguity. 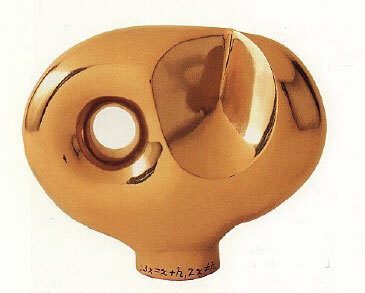 While the metaphor, like a liquid filling a new domain, compares and suggests assignment of its elements to a given situation, imparting a theme, an outcome, a culture of meaning, it leaves to the listener uncompleted assignments of its parts and intoxicates the imagination with the charge of completing the mapping. Or, it invites the skeptic to exercise reasoning to identify limits of the use of the metaphor or its inapplicability. In either case, the metaphor occupies the mind promoting its good habits. If a picture is worth a thousand words, a metaphor might be a film clip of 32 frames per second for a few seconds and worth ... well we can do the math. More importantly, we might wonder if a metaphor propels or helps with a leap in understanding something new. The topic of metaphor is nothing so simple to address exhaustively or satisfactorily tonight as this learned audience knows well. The divides are plenty. For example, John Searle  offers a system where its analysis makes metaphors uninteresting because he shows all new metaphors can be replaced; he claims that almost all assertions are metaphorical or were metaphorical at some point in the beginning of their use. Max Black  sees metaphor as containing positive cognitive content; that paraphrasing a metaphor does not convey the same meaning as the metaphor itself. Donald Davidson  posits that metaphors do not contain a determinant cognitive content, and that they are not semantic phenomenon. They are like presenting photographs bringing to focus those features unnoticed. George Lakoff  believes "Conceptual metaphor is a cognitive mechanism for allowing us to reason about one kind of thing as if it were another." But I set aside the linguistic subtleties in debating what a metaphor is. My hope for tonight is that whatever I will say will be heard similar to what Chauncy Gardiner says in Jerzy Kosinski's "Being There;" . I'll say trivial platitude, my listeners will impose unintended metaphors on them and imagine undeserved profundity! But, I hope you will indulge me with a few liberties I plan to take tonight with some intended metaphors in order to impart ideas about mathematics and mathematicians. Let me take a desired and necessary interruption at this point. It is an honor to be able to address you at this important series of lectures. I do thank you all for attending. I thank Professor Hallwas for his generous and optimistic introduction; he used a large magnifying glass describing my efforts. I am also grateful to the Selection Committee who, confronted with the difficult task of choosing a speaker and with a wealth of possibilities before them, decided to honor me. I thank all of my deans for their confidence in me and in particular Dean Martinelli-Fernandes for her continuous encouragement to address you. I also thank Jeff Dodd for his invaluable help. I follow an impressive list of speakers at this series whose presentations were hugely received. Allow me to mention that, while they were Mozarts of their fields and raptured their audiences because of their own accomplishments, I am a Salieri reporting to you on mathematics. When I was told of the possibility of this occasion, honored and surprised at the same time, I accepted the charge because of the importance of the subject of mathematics, and as a tribute to my colleagues at the department. One of the most important factors of strength of a university is in its faculty's intellect and character. I stand grateful for the privilege of having colleagues across the university whose retention at or attraction to the university, as well as their company, has been my selfish goal and fortune; I do thank them unboundedly. I am most grateful to my family. To my children, with whom I experienced the joys of childhood a second time, and in whose process of growing up truly recognized the importance of a liberal arts commitment, I owe a purpose. And finally, I thank Rosalyn for many things but, in particular, for encouragement, and in preparation for this talk, for absolving me from cooking. I should note that, since I am rather slow, she has been understanding that I would be preparing for this talk for a while; since we joined Western ... in 1978. Thank you Ros. The reference to liberal arts identifies a curriculum that introduces general ideas and knowledge and develops the student's logical, rational thinking and promotes intellectual growth, unlike the professional, vocational curricula emphasizing specializations . The liberally educated student is invited to cultivate habits of the mind, blossom intellectual and ethical autonomy, develop capacity to become a free thinker of what is to be cherished and what is to be remembered. While the 16th century list of topics does not include some of the more modern subjects, the current term of general education stands, in spirit, to serve the same purpose. The subjects in general education are all in the College of Arts & Sciences serving the same philosophy. "the first task of the liberal arts is to free the mind from the many fetters that can bind it, especially ignorance, prejudice, and shallowness. But this is admittedly no easy matter." "I hope that future speakers in this series will take on the task of showing at some length the importance of their respective fields for a liberal education." When I was honored with the opportunity to speak to you, I charged myself with his call, keeping in mind that his "at some length," I must interpret in the time confines of this lecture series and it means not till midnight. But this confinement requires me to make omissions, and to sketch only caricature-ishly. For that, I offer apologies. The liberal arts form the core of an organic education as they expose the mind to ideas, engaging it with the thrills of imagination, understanding, empathy, meaning, analyticity, skepticism, and other cultivatable traits. In engagement with liberal arts, we are, among other things, exposed to ideas and facts through a vocabulary of metaphors that allures, enhances and enriches our ability to understand topics and elements in life that we would otherwise see only as a collection of linear facts. As mathematics is one of the subjects of liberal arts, it too is rich in, and deeply immersed in metaphors. For mathematics, the facts are verified and presented through technical metaphors that are guided by logic. Professor Goldfarb, theater historian and a previous speaker in this series, , pointed out how awareness of metaphorical allusions in modern literature, theatre and television is far more heightened if the viewer is familiar with the older vocabulary of exiting works. He also pointed out that the most important advice he received in his liberal arts experience was "to be as succinct as possible," one which is most dramatically relevant in mathematics' metaphors. And of course in mathematics, too, we must be careful not to confuse the presentation of mathematical facts with the content of mathematics. 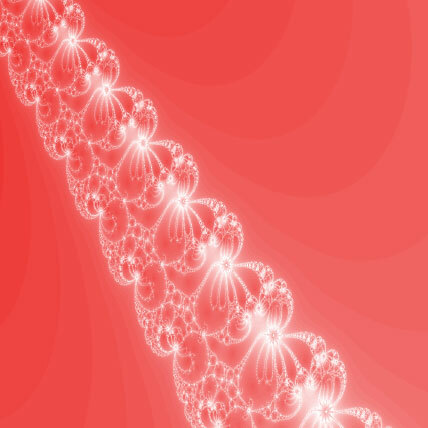 It could be said that one of the mathematicians' desires in life is to discover/construct/polish/bridge abstract metaphors and examine their details. 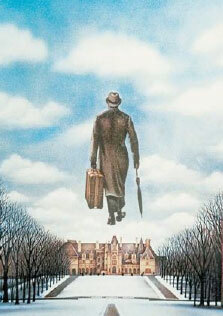 Ambiguity is sometimes inherent in metaphors and to various degrees. It is, however, the case that metaphors in mathematics are to have no ambiguity and no tolerance for soft mappings. It might be tempting to define constructed mathematics as the collection of those artfully elaborate metaphors, ready to be imagined or applied or enjoyed, that do not possess any explicit ambiguity. A large part of mathematics is the language for nature, sciences, and imagination allowing discourse about that which is possible to explain with precision; making the invisible, visible, by developing metaphors for itself and all else. Mathematics appears more cryptic often because non-Tamarians, oops, make that non-mathematicians, or non-specialists, are not familiar with the metaphors used and the contained meaning. Even those who understand machinery of mathematics to good extents could miss the meaning and exclusively submerse themselves in the mechanical aspect of a fact or a proof. But what does 'meaning' mean? And how do we arrive at that? Perhaps by a moment of punctuated insight while we are struggling with metaphorical comparisons or thought experiments. I am reminded by my friends and colleagues of similar experiences. If any mathematical carvings are found on public properties you know who to blame. We might picture three different engagements for a mathematician. In one, the mathematician is confined to rigorous, logical, axiomatic progress where findings are distilled into clear definitions, theorems, and technical proofs. 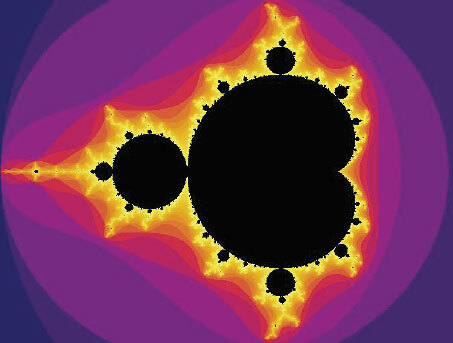 In another, the mathematician is guided by learning from other mathematicians' techniques and ideas that could be put to use to find new results. And yet in another, the mathematician is guided by metaphors, intuition, physical analogies, and images derived from experiences or thought experiments. But this is not all, they could, while doing any of those also do: "stare, explore, look for patterns, doodle, drink coffee, organize, form tables, draw pictures, try counterexamples, make conjectures, refine, rewrite, rewrite again, talk to themselves, whistle, drink coffee, plan strategies, modify, abandon, check reasoning, write and rewrite proofs, drink coffee, walk, pace, look for errors, seek alternate descriptions, look for analogies, consult one another, drink coffee, share ideas, encourage one another, change points of view, learn new theories, translate problems from one language into another, become obsessed, bang their heads against walls, frustration, despair, and find light sometimes." Most likely other disciplines' scholars share some or all of these. 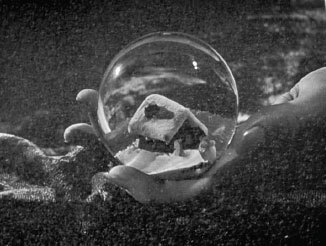 -- make that a snow cube -- before our eyes. Let me imagine that a role and function of mathematics is that of providing a biosphere for the growth of subjects of liberal arts, including itself, in the backdrop of different profiles and aspects of it. As any structure has different profiles if examined from different angles, again indulge me in looking at mathematics from six different yet overlapping perspectives, one for each face of the cube. As we seek whatever we seek in life, challenges, leisure, satisfaction, etc., we do better if we understand phenomena and predict accurately. Mathematical modeling of change, through algebra, statistics, calculus, and other areas of mathematics, allows us to predict with stunning accuracy, construct with impressive efficiency, allow the seemingly impossible, and comfort and prolong our lives. Let me give you some examples; forgive me for choosing cryptic looking slides with deep formulas. I am awed that such utterances, rooted in local metaphor, work as effectively as they do. 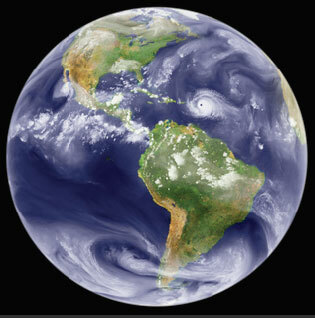 We predict weather, short and long term, from a day to 3-days to a week to a month to 6 months to six years. We do this by mathematical modeling involving millions of numbers and hundreds of variable. Starting with Maxwell's equations, expressed in brief but effective language of mathematics, we have tamed electronics. I came to US to attend college in 1966. Away from home by thousands of miles and in a new land, I longed to hear my family's voice but, at the time that minimum wage was $1.05, the charge for a phone call to Tehran was $9 per minute with a required minimum of three minutes of connection; roughly the earnings of 25 hours of work was the minimum. In today's scale it would be almost $214. 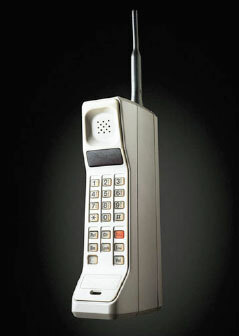 (Needless to say I did not call home during my 4 years of undergraduate studies!) 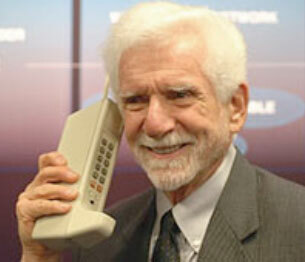 Now, it costs 5 cents per minute, or it can be free if you use the Internet where you can turn it into a video call. In fact, my presentation tonight through the magic of my borrowed laptop, WIU's wireless, and satellite transmission, might be watched by my curious cousins in remote northern towns in Iran at the price of their subscription to an Internet provider. If everyone in this audience decided to make simultaneous calls this minute, it is quite likely possible without any jamming. The reason for this success is the role of mathematics in allowing the precision of engineering to be applicable, and equally importantly, in making visible those invisible freeways and highways available to electronic signals. This is not un-similar to constructing roads, defining separate lanes, promoting a speed limit and allowing for packets of traffic to successfully leave their origins and arrive at their destinations. These roads are invisible but for the effectiveness of mathematics to make them visible as metaphorical roads. 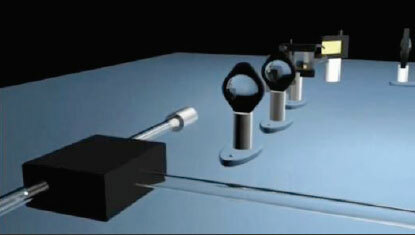 Literally making the invisible visible, is a fascinating technological development of a camera, through mathematical understanding, that takes 6 million frames per second. There are phenomena in dynamics, such as shock-waves and communication between living cells, that are far better understood because of such a camera. Through mathematical/statistical modeling, we understand diseases better, determine efficacy of curing drugs, and prevent deterioration of organs. Here again, the physical instruments for the repair of the body are results of advances of technology with mathematical underpinnings. 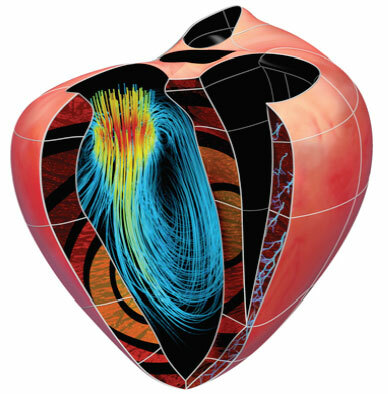 As an example, there are several versions of mathematical, computer-animated modeling of the human heart that help the researchers understand that organ almost as well as we understand a bicycle pump. Flight, what makes distances of thousands of miles seem trivial and makes the world accessible to us, is realized through application of calculus to physics through understanding and modeling of the forces involved. That we can cross oceans and be in Paris in hours, is the magic of mathematics affording and guiding how to design planes to make it possible. That we can afford to have time, that irrecoverable commodity, to spend on what we choose, read, write, tell stories, play, learn, is magnificently afforded through our knowledge of pertinent mathematics. Imagine a dictionary for English in English. Clearly, it could be circular; that is, we might look up the word 'saucer' finding for its definition "that which we put under a cup;" we then look up 'cup' only to find its definition "that which we put on a saucer." In the axiomatic approach to mathematics, we adopt a few axioms, assertions we take for granted that are true, by convincing ourselves in any informal way we can. 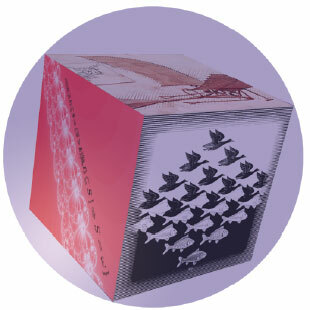 Next, using logical rules we find more and more sophisticated consequences of those axioms which we expect to be true. 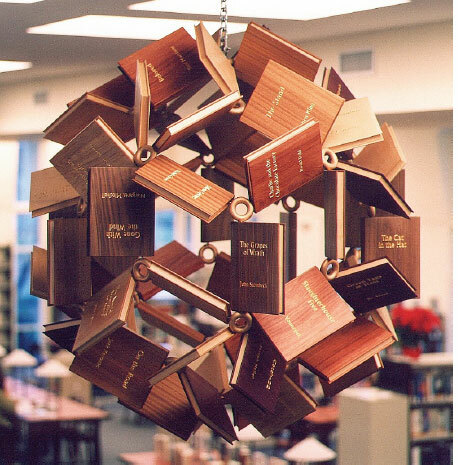 As an example of this, we should remember Euclidean geometry. For Euclid, the pursuit of truth consists of breaking anything complicated into smaller parts until the parts are so small, that they are self-evident, axioms, and do not require convincing, thus forming a defining vocabulary. 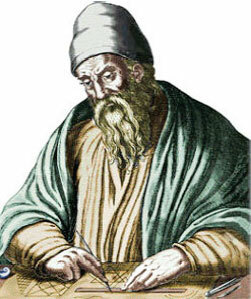 Euclid  took five axioms, or postulates, and drew coherent conclusions that logically followed. With this approach he opened what a formal system is. In this way not only he and his followers discovered geometrical consequences of deep satisfaction, connecting truth and provability, but they provided a fundamental component for liberal arts education of generations for over two thousand years by implicitly promoting logical mode of discourse through the study of geometry. 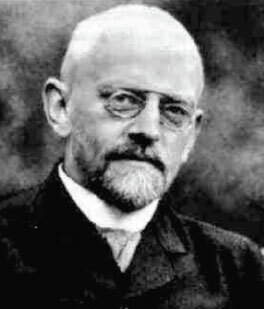 In 1900, Hilbert  sought a finite set of axioms in a formal setting of mathematical logic, and proper rules of inference to use along, all agreeable to all mathematicians. He asked that in this system be possible, in principle, to deduce all the truthful consequences of the axioms, establishing all there was to be established -- and nothing else, and do so in a mechanical fashion. As a test case, Hilbert asked for mathematicians to prove that a simple system that axiomatized counting: 0, 1, 2, 3, and allowed performing elementary operations, proves everything true and also proves that it is reliable -- that is it proves its own consistency. Godel  , in 1931, proved that a structure sophisticated enough to do arithmetic, cannot be both consistent and complete. 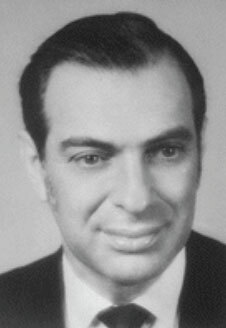 Lakatos , in 1956, discussed the philosophy of mathematics, presenting strong disapproval of formal proof. 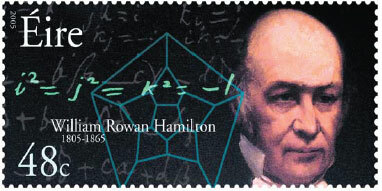 He introduced the idea that mathematics, as he saw it, could be a 'quasi-empirical' subject. For an empirical science, the findings are always uncertain, because the next experiment could refute all one's theories. This stood in contrast to beliefs about pure mathematics, wherein a proof, if it's been checked and double-checked, if there is no mistake, should stand forever. 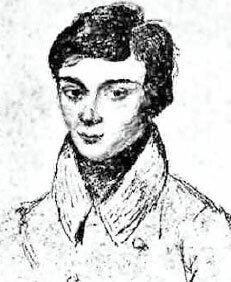 Lakatos hoped to establish that no theorem of informal mathematics is final. This means that we should not think that a theorem is Platonically true, only that no counterexample to its present formulation has yet been found. 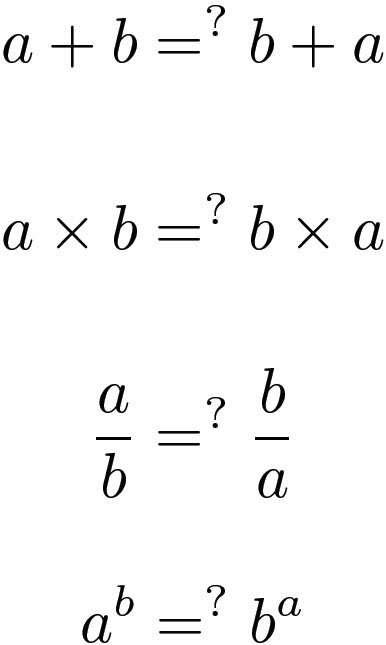 If a counterexample is found, we adjust the formulation of the theorem. This is how our knowledge accumulates, through the logic and process of proofs and refutations . Karen Mann, professor of English and a previous speaker in these series, , wondered about the value of truth and emphasized the importance of story telling. One must wonder if stories, poetic license in telling them, and 'true enough' could exist without the backdrop concept of hard truth. Is mathematics discovered? Invented? Just stories we tell ourselves, A Platonic world? Is it art? Is mathematics a science? Is the notion of proof and formalism superior and sufficient? While we enjoy the fruits of mathematical findings, the debate on this perspective goes on amongst philosophers of mathematics and mathematicians. Last year, the Hallwas lecture was delivered by political scientist Richard Hardy, , whose topic was The Constitution, suggesting that it is like a set of axioms from which we draw the conclusions necessary when the need arrives. Let me mention an anecdote about the Constitution and Godel, a born Czech citizen. 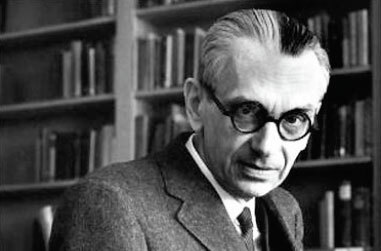 When Godel was about to become a US citizen, witnesses report that he was excited and argumentative because he had carefully studied the Constitution, and had felt he had discovered it was inconsistent as a formal set of axioms! The judge and his witnesses, one of whom was Albert Einstein, had to work hard to persuade him to suppress his enthusiasm to argue and not jeopardize the process. Charles Helm of political science who gave a previous Hallwas lecture, , spoke on the topic of Civic Engagement and Democratic Theory and liberal arts. Another result about mathematical structures interesting to liberal arts and relevant to civic engagement is that of Arrow's theorem. 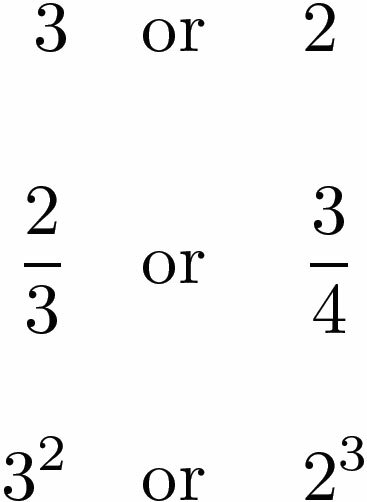 This theorem is about 'voting preferences' when there are more than two choices. It states that no voting system can faithfully deliver the ranked preferences of individuals into a community-wide ranking and at the same time satisfy the reasonable and fair Arrow's Axioms. But all is not lost as mathematical work shows, for example, that if there is only one criteria by which the preferences are judged, then majority rule is successful in that delivery. Aristotle wrote in Metaphysics : "Those who assert that the mathematical sciences say nothing of the beautiful are in error. The chief forms of beauty are order, commensurability, and precision." 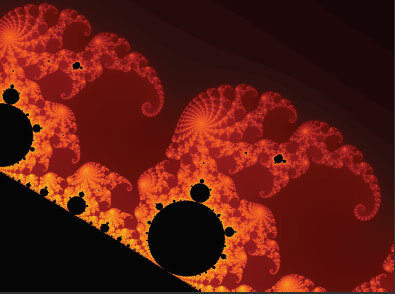 "Mathematics, rightly viewed, possesses not only truth, but supreme beauty — a beauty cold and austere, like that of sculpture, without appeal to any part of our weaker nature, without the gorgeous trappings of painting or music, yet sublimely pure, and capable of a stern perfection such as only the greatest art can show. The true spirit of delight, the exaltation, the sense of being more than Man, which is the touchstone of the highest excellence, is to be found in mathematics as surely as poetry." Tracy Knight, professor of psychology, author of fiction and a previous speaker in this series, , spoke of a sense of "awe" and "wonder" worthy of experience. Those are not unfamiliar moments in this subject either. Let me give examples that allured me to mathematics at various stages of my life. Both of these assertions are true; but why? Why should one infinite sum tend to the finite number 1 but the other exceed any given number and tend to infinity? Why would such an equality hold? 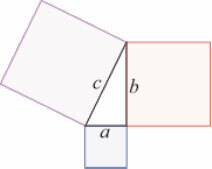 How can the sum of reciprocals of perfect squares, from the realm of natural numbers, be connected to the ratio of a circle's perimeter to its diameter? 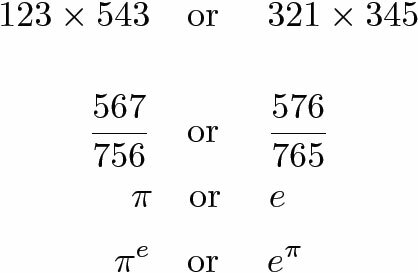 This equation involves those omnipresent numbers in mathematics: pi, e, and i. Some consider this equation about the whole group mysterious; others think it a simple signature of definitions. This equation speaks deeply on the distribution of prime numbers; it tells us the approximate percentage of the numbers that are prime in between 1 and any large number. That we could know this without being to infinity is pure poetry. Logicians see absolute beauty in the assertion that, in the right light, that which is provable is true and that which is true is provable. The Heisenberg uncertainty principle, expressed in exquisite brevity and elegance, states the principle in physics that: you cannot, with arbitrary precision, know certain pairs of facts; for example, measure the position of a 'small thing' without altering its momentum. As an imperfect analogy, imagine sitting in a dark room about to measure its size and initial temperature within thousands of a unit, thus needing to turn the only source of light: the available fireplace! The Heisenberg uncertainty principle is truly a triumph of human thought expressible through the beauty of mathematical ideas. Carl Jung, the social philosopher, prematurely believed that this principle is a fact of physics that cannot be stated analytically. While there are several mathematical ways to express the complicated idea, the form before you, due to Elliot Leib, is poetic. 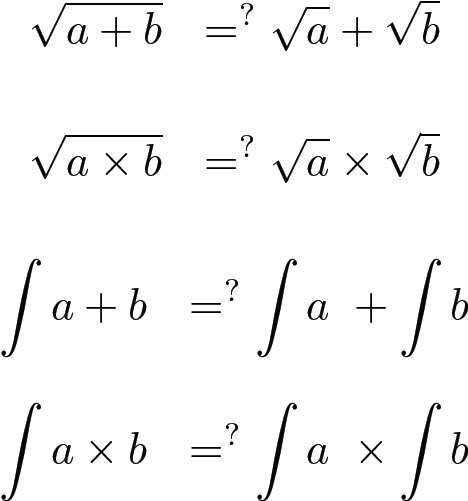 It states that a function and its Fourier transform cannot be both sharply localized. It is not unusual that existing visual beauty would inspire art or textual work in humanities, sciences and mathematics. It is wonderful that, in mathematics' case also, the flow would be active in the reverse direction. 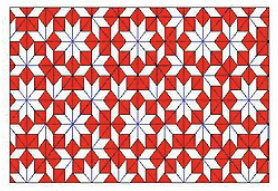 Findings in various areas of mathematics, particularly and not surprisingly in geometry, have inspired artists and expositors to compose works with beauty, visual elegance, curiosity and further mathematical inspiration. This truth has been celebrated through hundreds of adulations in the form of various proofs not unsimilar to poems written about a subject or odes to it; and thus not all as pleasing! b) If you were to tile your living-room's floor, and let's pretend it is an infinite plane in all directions, you could do it exclusively with tiles of one of squarish, rectangular or hexagonal shapes. 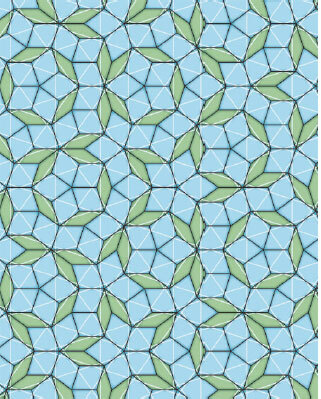 If you used any of these, your tiling would be predictable at any distance away because it is periodic -- that is, the pattern matches translationally. 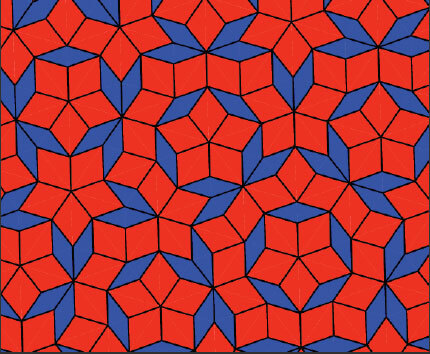 the question of whether there existed non-periodic tilings of your floor where no pattern is the one repeated seamlessly in all directions to obtain the entire tiling. This leads to strikingly beautiful designs. I understand that option is available for large-living rooms! The power of computers allows us to be creative in how we summarize processes. A process where a point of the complex plane is moved to another location because of the effect of a predetermined operation (a function), is called a dynamical system. For certain functions, if we painted each Platonic point's vessel, its containing pixel on the computer's screen, with a color arranged to code how fast our vessel revealed its intention to escape to infinity, we get the recently coined term, a fractal, with brilliance, depth, and exotic self-similarity that we could not but agree is mysterious and beautiful. 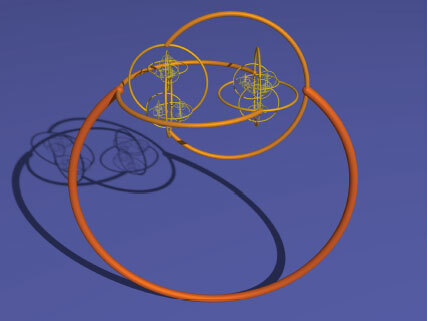 Alexander's Horned Sphere rendered by a computer through POV-Ray. Any creative work is based on imagination. Perhaps that is the fundamentally single element common to all of our subjects. The ingredient of imagination, possibly propelled by infusing known metaphors in metaphors, extending an old one, inventing a new one, or by bridging between metaphors, is most critical in making progress in every project in every subject, and mathematics is replete with examples where imagination has allowed entrance into a new paradigm with a tremendous explosion of ideas and applications. The creative experience of mathematics is the most attractive part to most of its practitioners. The struggle to understand and resolve a particular difficulty is laced with effort in the theatre of imagining the right approach. Often it is fruitless and with despair. But when a new way to see something has arrived the results are thrilling and lead to progress in many other places with measurable new outcomes. which was essentially known in the 1200s when the solutions are positive, and by 1400 more like as we know it now. after three hundred years of effort by many, del Ferro and Tartaglia were first to know the following solution in the middle of 1500s. the quartic? Once again there is a key formula discovered by Ferrari about the same time; I'll skip its details. So what about the next stage? imagined a totally new way of approach in 1820s. 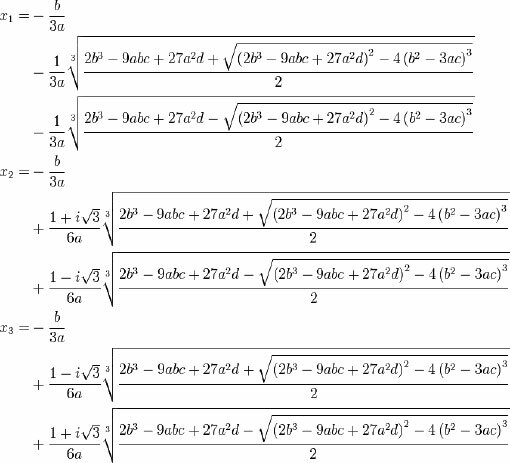 He saw certain permutations and symmetries present in the process of a search, and proved that a solution for the quintic in the line that I have lead you to expect, that is an expression using radicals, is not possible in general. 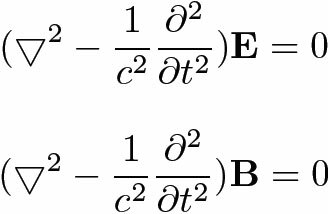 having mastered the theory of groups, applied it to an unexpected field: mathematical invariant theory, proving an important result expressing that there is symmetry for quantum physics if and only if there is a conservation quantity. More specifically, she showed that rotational symmetry, or invariance under rotations, occurs exactly when angular momentum is conserved, and translational symmetry occurs when momentum is conserved. But there was drama; there was a disturbing irregularity in the calculations involved: while the electrical charges were accounted for, there was a bit of extra momentum unclaimed by the particles involved. But physicists felt the theorem was too beautiful to be wrong and so they continued its use. To offset the irregularity, Wolfgang Pauli, a Motzart of physics, postulated the existence of the neutrino, a particle with no electrical charge, but with just that extra unclaimed momentum. Later experiments confirmed that the neutrinos do indeed exist. 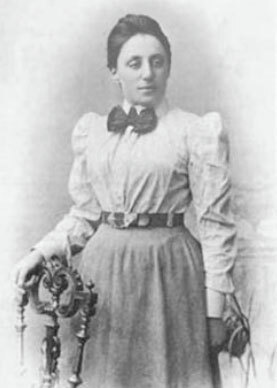 And Noether's theorem is now a core element of study of quantum physics. While time forces me to leave this perspective's share of attention, I must at least mention two other fascinating areas. One is the taming of the infinite and its alter ego the infinitesimal, both punctuatedly advancing the progress of mathematics by metaphorically probing the continuum through the concept of limit and the subjects of calculus and analysis. The second is Alan Turing's 1930s breakthrough in essentially presenting the theory of computers by fathoming the theory of operating systems we now know as Windows, Macintosh, and unix. 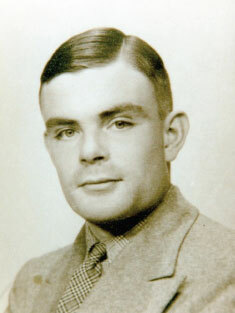 Turing's theory of computation did become my own subject of desire. Turing saw the familiar real numbers through the eyes of a computer, say HAL 9000, the computer of Kubrik's 2001. HAL would describe the real numbers as visible to it or not, according to whether they were computable or not. 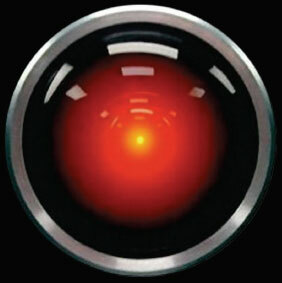 A ramified version of HAL's vision is that it finds the classification of real numbers to be: those which are visible; those which are in the darkness; and those that have a visible darkness about them. 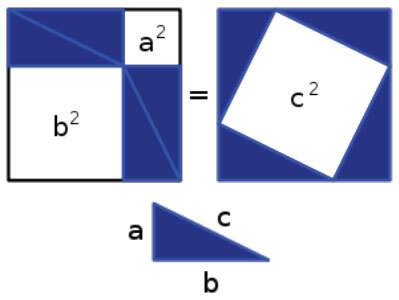 This is the face and component of mathematics most students of early mathematics see and believe, falsely, to be the only definition of mathematics. Unfortunately, many carry that belief into college and beyond, perpetuate it, advertise it, and not only distance themselves from the joy of doing mathematics, but promote that idea in their families and social circles. The textual technology of arithmetic, algebra and beyond, is almost magical. But to produce its effect, it must be rigorously applied in obeying its semantical meanings. As in any language, the vocabulary and the grammar matter. No one doubts the importance of correctness of a calculation, as everyone can fathom the dramatic results of a miscalculation in critical topics such as medicine, flight, constructing telescopes or bridges, etc. we develop syntax and investigate syntactical technologies that reflect true rules and help us calculate correctly. All procedures and skills are laced with operations. Given a binary operation it does matter to know if it is irrelevant to apply it in a specific order. Given two operations, it is critical to know if the order of carrying them out matters or not. The critical technicalities that our wishes are sometimes true and often false, and when each is the case, constitutes some of the intricacies to investigate and to absorb. These give special challenges to all students of mathematics. To communicate, to understand, to explain, to absorb ideas, without the necessity of experiencing or experimenting each and everyone, we study and think through a collection of episodes and metaphors allowing us to imagine and glean meanings vicariously. Liberal Arts could be viewed as those rich bodies of work that help us develop, organically, the habits of the mind for seeing things with meaning, with differentiation but without prejudice, with reflection, with clarity, with ethics. The study of life of the species of Liberal Arts living and evolving in one single theatre colors our lives; provides us with a compass; and brings about deep satisfaction. Mathematics is the biosphere for the Liberal Arts. What humble advice this speaker can give is to promote, to integrate and to encourage to absorb, and to do absorb as much mathematics as any other subject. This can be an approach for all scholars in liberal arts. It is unavoidable to learn and to forget; we all do that often. But to be determined to relearn is what we might be tempted to resist; particularly in mathematics' case. Let us imagine an educational atmosphere where we see the imparting of all areas of liberal arts organically. Where we all promote understanding of all other subjects within our subject as much as possible. And where, in particular, mathematics is infused in every subject's exposure if not with open hearts and arms, at least with encouragement of understanding of most of the underpinning details. In sciences, it is easy to imagine a professor promoting mathematical competency; and that is not surprising. But in all other areas of liberal arts (and beyond), imagine professors promoting mathematics and its understanding (as much as could be made relevant) as organically as promoting good social habits. Imagine an atmosphere where we won't disassociate or relegate understanding, to all extents possible, of arithmetical or mathematical ideas. In such an environment, we will at least be with reluctance from disowning mathematics. Records show that fewer than half of U.S. eighth graders have mathematics teachers who have certification in mathematics or have majored in mathematics. One fundamental responsibility of ours, as an institution, is to provide preparation of teachers of mathematics who are strong promoters of the subject. I dare imagine in that world more teachers of mathematics comfortable in addressing the subject to their students and less perpetuation of phobias toward mathematics; less perception of mathematics as mere procedure; more mastery of the rigor of any calculation. Often mathematics is unfairly seen as a cryptic subject and dispossessed. It is frequent to hear from students that "I am not good in math," or much more emotional statements. This sentiment is also expressed by many in their post-formal educational years. The trouble is that we help perpetuate the myth and jeopardize a generations' success by finding echos of our dispossession in our neighbor, and by feeling more justified in our inclination by hearing that echo. It is our choice as to what type of music we like or how much of it we wish to understand more deeply; but it is to our detriment to dispossess music all together -- and none of us disowns music. Mathematics is music. To all students of mathematics we advise: Do not give up; do not disown; do not distance yourself; do not resist its invitation; read, follow, ask, and master small ideas and facts frequently. As you exercise your body with walks, jogs, runs, dedicate regularity in viewing and reviewing what you know and can know in mathematics. There is effort to exert, integration to promote in hope to reemphasize the importance of Liberal Arts, their organic connection with each other and all else, and in specific the improvement of perception and the role of mathematics in relation to the rest of Liberal Arts. 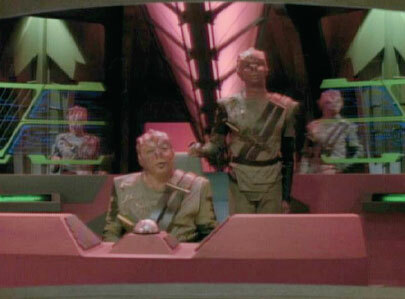 Hailing us all in that pursuit, I say: like 'Darmok and Jalad at Tanagra'. John Searle, Metaphor, chapter in Expression and Meaning (Cambridge, Cambridge University Press, 1979). Max Black, Metaphor, pp. 25-47 in Models and Metaphors (Ithaca, Cornell University Press, 1962). Donald Davidson, What Metaphors Mean? pp. 435-446 in Philosophpy of Language, 4th edition, edited by A.P. Martinich (Oxford University Press, New York, 2001). George Lakoff & Mark Johnson, Metaphors we live by, (University of Chicago Press, 1980). 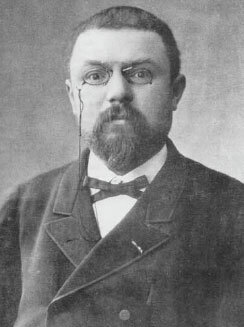 Henri Poincaré, Science and Method, (p 387, Paris 1913). William Hamilton, in a letter to his son (dated August 5, 1865), describing his discovery of quaternions on October 16, 1843. David Hilbert, Bulletin of the American Mathematical Society 8 (1902), 437-479. Kurt Godel, On Formally Undecidable Propositions of Principia Mathematica and Related Systems, (1931). 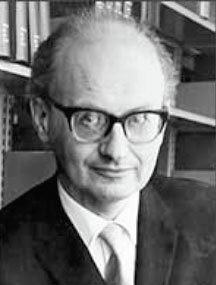 Imre Lakatos, Proofs and Refutations: The Logic of Mathematical Discovery, (1977). Bertrand Russell, Mysticism and Logic and Other Essays, (London: Longmans, Green 1918). Tracy Knight, Nothing But the Mystery: Wonder, Meaning and the Liberal Arts, October, 2006, http://www.wiu.edu/news/lecture_archive/liberalArts06.php  Roger Penrose, The Emperor's New Mind, (New York: Oxford University Press, 1989).